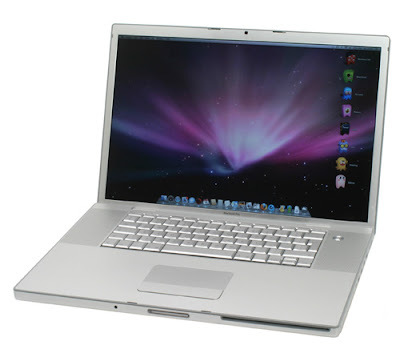 I have a late 2008 MacBook Pro 15" 2.6 GHz laptop. It's the last model before the unibody came out. The other day I noticed a weird electrical hissing noise coming out of the speakers. I searched and searched the Internet and found multiple articles about a hissing noise caused by the dual core processor. They suggested turning off one core, and/or running Photo Booth to see if the sound went away. This was NOT the problem I had. My sound was coming from the speakers, and if I plugged headphones in I could really hear the sound. The sound was a hissing of sorts, but more like an electrical sound. It reminded me of the sound my Ionic Breeze air filter makes when it gets dirty. The sound was intermittent and if I muted the speakers it would not go away. Rebooting the laptop caused the sound to stop, but only until I launched something that activated the sound card (iTunes, QuickTime, etc.). Once I launched a program that involved sound, the hissing would come back. I just knew my logic board was fried or something and I could not find a single article that described this problem. Again, I could hear the sound through the speakers and the headphones. I tried one last ditch effort before ordering a new laptop. I reset the PRAM using these instructions. Since I reset the PRAM I haven't heard the sound again. I'm crossing my fingers because it could come back, but so far it seems to be working. A little research shows that one of the things that gets stored in PRAM is the sound card volume. Maybe something got freaked out in there and was causing my issue. I don't know. I'm just glad I got it fixed. I hope this helps someone else. UPDATE: This didn't really work. Clearing the PRAM worked for awhile, but when I came back to my laptop the sound was back. I have switched out the battery as I was using an extended Fastmac battery. So far the noise only happens with that one battery but we'll see and repost the results. UPDATE 2: I went to the Apple Store and they think it's either a sound card problem, or a grouding problem. Either way, I have to send it in to get fixed. How lame. 2 Responses to MacBook Pro Audio Hissing in Sound Card - Fixed? Did you get this sorted? How much did it cost? I'm having exactly the same problem...any news?